After airing for two summers on ABC, the US network decided not to pick up the Motive TV show for a third season, effectively cancelling it for American viewers. However, the series is produced in Canada and the CTV network renewed it for a third and fourth season anyway. 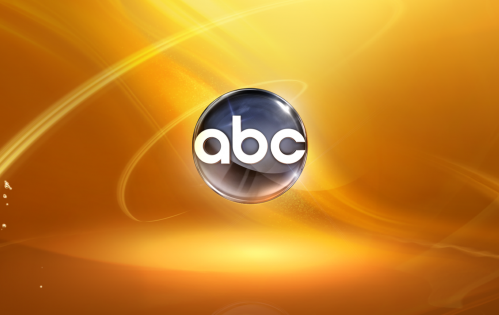 The fourth season has just completed filming and will begin airing on March 22nd. 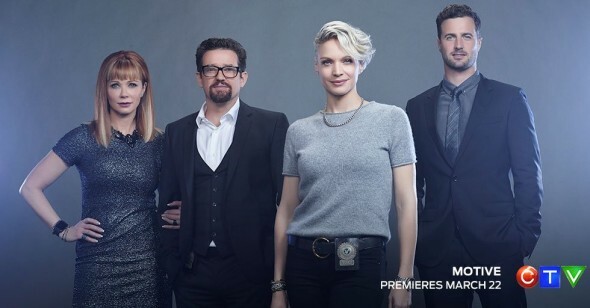 The fourth season cast includes Kristin Lehman, Louis Ferreira, Brendan Penny, and Lauren Holly. Guests will include Jon Heder, Will Sasso, and Tommy Flanagan. It’s now been revealed that the police drama is ending and there won’t be a fifth season. VANCOUVER (February 12, 2016) – CTV announced today that multiple Canadian Screen Award nominee MOTIVE is set to face its last round of investigations, as the series returns for its fourth and final season Tuesdays at 10 p.m. ET/PT beginning March 22 on CTV and CTV GO, following a CraveTV First Look starting March 21. Wrapping production today in Vancouver, the final season brings the story of the series’ dynamic homicide team to a powerful conclusion as they continue to explore what drives the motive behind the murder in 13 unforgettable new episodes. MOTIVE was nominated last month for nine Canadian Screen Awards, including Best Dramatic Series. In the final season, each member of the homicide team faces pivotal choices about their future, as they set on a course of deciding what they want their legacies to be. Canadian Screen Award nominee Kristin Lehman (THE KILLING) returns as Detective Angie Flynn, who leads the team through a season of big change and evolution: Detective Oscar Vega’s (Louis Ferreira, BREAKING BAD, SGU STARGATE UNIVERSE) new role as Staff Sergeant means adjustments for everyone; Angie and Detective Brian Lucas (Brendan Penny, THE ASSISTANTS) develop a deeper bond; Dr. Betty Rogers (Lauren Holly, NCIS), who is personally involved with Vega, must now mind the boundaries of her personal and professional relationship; and new detectives are introduced to the team. Building on its roster of incredible guest stars throughout the series, Season 4 of MOTIVE continues to showcase a fantastic line up of seasoned actors with appearances from Jon Heder (Napoleon Dynamite); Will Sasso (SHAMELESS); and Tommy Flanagan (SONS OF ANARCHY), who guest stars in a recurring role as Interpol Agent Jack Stoker. “We’re proud to have had the privilege of bringing this compelling and innovative crime format series to CTV audiences for the past three seasons.” Said Mike Cosentino, Senior Vice-President, Programming, CTV Networks and CraveTV. MOTIVE also stars Victor Zinck Jr. (THE 100) and Karen LeBlanc (CRACKED), who join this season as new detectives on the series’ homicide team. In the Season 4 premiere, entitled “The Vanishing Policeman” (Tuesday, March 22 at 10 p.m. ET/PT on CTV and CTV GO), while Detective Angie Flynn (Kristin Lehman) and Staff Sergeant Vega (Louis Ferreira) adjust to his new role, the suicide of an officer with whom Angie and Detective Brian Lucas (Brendan Penny) worked on a crime scene turns the team’s investigation into a hunt for a cop killer. CTV’s top Canadian Screen Awards nominee for two consecutive years, MOTIVE once again garnered nine nominations for the upcoming CSAs, including Best Dramatic Series and Best Performance by an Actress in a Continuing Leading Dramatic Role. Season 3 was watched by an average audience of 1.2 million viewers, a 15% increase over Season 1, landing the series among the Top 4 most-watched Canadian dramas last season. All past episodes of MOTIVE are streaming now on CraveTV™. MOTIVE is produced by Lark Productions and Foundation Features in association with Bell Media. Executive Producers are Dennis Heaton (CALL ME FITZ, Fido), who also serves as the Season 4 showrunner; series creator Daniel Cerone (DEXTER, THE BLACKLIST); Louise Clark (CORNER GAS, HIGH MOON); Rob Merilees (Stone of Destiny, Brain on Fire); Erin Haskett (THE REAL HOUSEWIVES OF VANCOUVER); Rob LaBelle (MENTAL); Lindsay Macadam (Brain on Fire); and Ben Brafman (PERSON OF INTEREST, DEFYING GRAVITY). The series is distributed internationally by NBCUniversal International. For Bell Media, Michele McMahon and Kathleen Meek are Production Executives; Tom Hastings is Director, Drama, Independent Production; and Corrie Coe is Senior Vice-President, Independent Production. Mike Cosentino is Senior Vice-President, CTV Networks and CraveTV. Randy Lennox is President, Entertainment Production and Broadcasting, Bell Media. Source : Numeris Sep. 22, 2014 – Sep. 13, 2015, final data. What do you think? Do you like the Motive TV show? Would you like to see the complete series air in the United States? I thought this was a very good show and was really disappointed that American Broadcasters did not renew. Maybe I can find another way to view it. I love the show. I was so mad when the u.s dropped it. I’ve been watching reruns since. After spending this week binge watching Motive I am truly sad to face my future without it. On the other hand, I would go nuts waiting awhile week for Each new episode. My best to all the folks who put this together. I am beyond impressed!